This grenade came to the US as a war-relic with US troops in the 1950-1953 period. 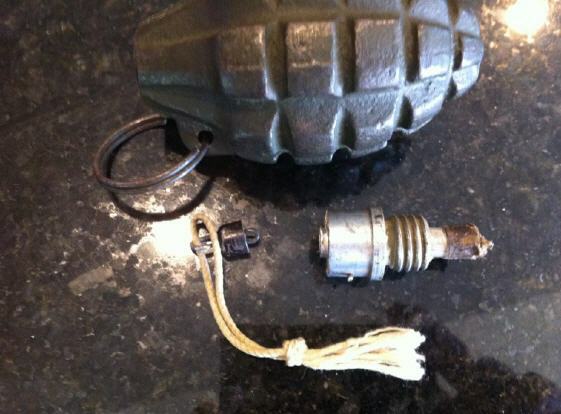 A US Mk2 seems to have been used as a mold, but the grenade has a cast-on carrying lug. 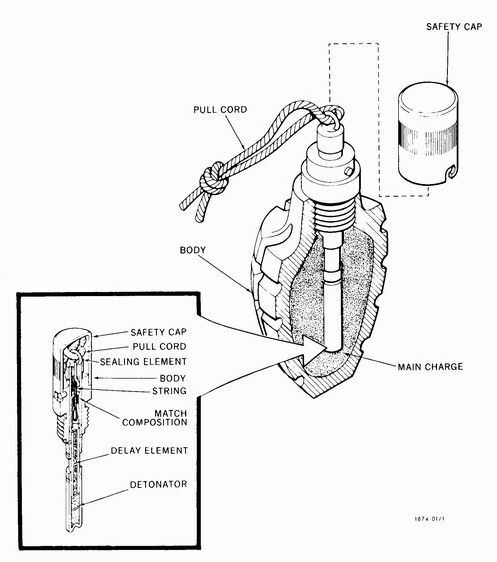 The fuze threads are same as the Russian UZRGM, but it's a pull-friction type. Francesco provided the sectional drawing shown on the right. 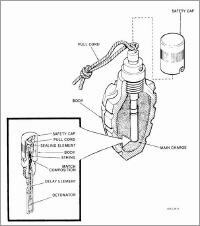 It came from documentation which named this grenade "A-3". It is still unclear if it was really North-Korean. It might be South-Korean as well. 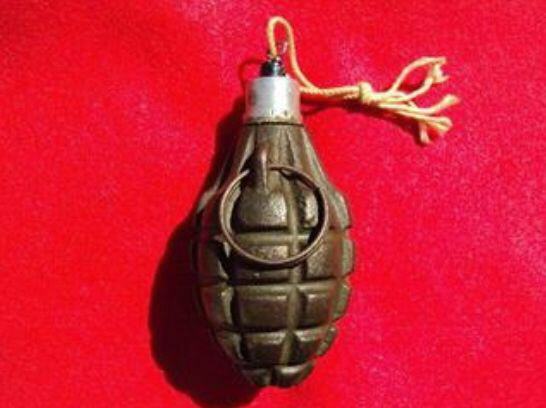 On the South Korean page there is a similar grenade.